Individuals involved in the juvenile or adult justice system are often unsure about making behavioral or life changes. Motivational Interviewing is a way of communicating that draws out people’s own thoughts and beliefs to help them resolve their ambivalence about change. 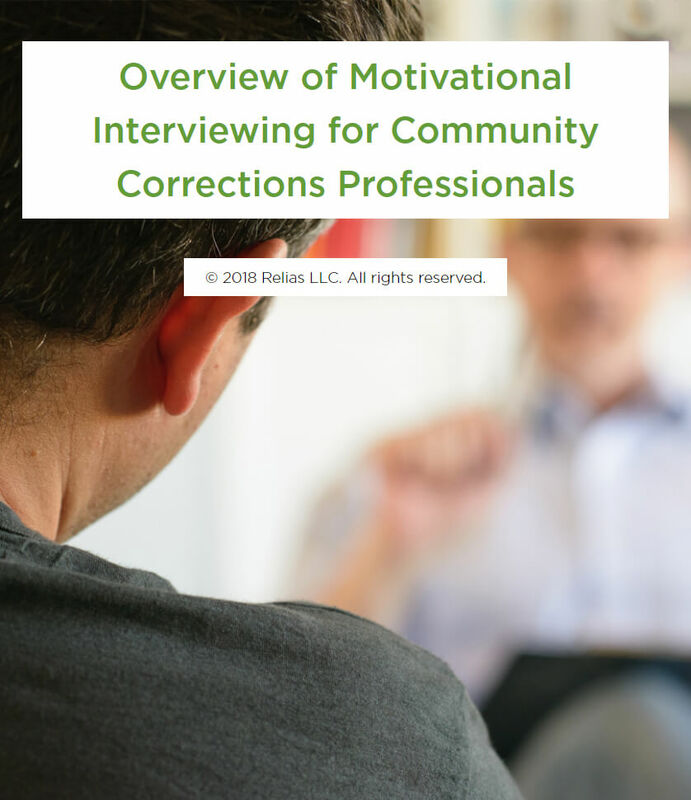 Pretrial, probation, parole officers, and corrections counselors working with adults or juveniles on community supervision can use motivational interviewing skills to help the individuals they supervise internalize the change process and improve compliance with supervision conditions. This course will provide community supervision professionals working with adults and juveniles on community supervision with a brief overview of motivational interviewing, the stages of the change process, and strategies that can be used to enhance an individual’s motivation to change. Identify the 6 stages of change. Explain 4 basic principles of motivational interviewing. Describe at least 4 motivational interviewing techniques you can use to enhance an individual’s motivation to change. Discuss 5 techniques for eliciting change talk. When Would You Use MI? Truls Neal has served as the Director and the Deputy Director of Multnomah County Department of Community Justice (DCJ) for the past two years. Truls has worked as a Corrections Professional for more than 30 years. He has worked in various capacities in the criminal justice field including as a corrections counselor, juvenile counselor, parole and probation officer including fourteen years in community corrections management. He began his career in 1983 with Orange County Juvenile Probation in California. In 1992, Truls moved to Oregon and worked for 16 years for Clackamas County Community Corrections, serving as a Corrections Counselor, Community Service Coordinator, Parole and Probation Officer, Supervisor and finally as the Manager of the Parole and Probation Field Services. Ten years ago, Truls was hired by Multnomah County. As a Senior Manager, he was instrumental in developing and implementing the Reentry Enhancement Coordination Program (REC), a successful prison reentry program currently still in existence today. Prior to being assigned Deputy Director Truls served as the Adult Division Director for DCJ. Additionally, he currently serves on the board for the American Probation and Parole Association. Locally, Truls has served as an executive member of the Multnomah County Managers of Color. Truls holds a Bachelor's Degree in Sociology from California State University, San Bernardino. In addition to his professional career, he is active in NE Portland and is involved with his community in his local neighborhood association and other community-based organizations. Truls life mission is to build community at work, home, and in his neighborhood. Disclosure: Truls Neal has declared that no conflict of interest, Relevant Financial Relationship or Relevant Non-Financial Relationship exists.